AFS Empowers... Increased Accuracy & Efficiency in the Warehouse Using AFS WMS™ Gives Scavuzzo's, an Independent Food Service Supplier and Heavy Protein House, a Competitive Edge. Scavuzzo’s wanted to address the challenges of increased accuracy and efficiency in their warehouses. As traceability becomes a key ingredient of food service distributors’ daily activities, today’s warehouse has to be able to turn product efficiently and accurately, accounting for all its inventory to keep date-sensitive product from sitting too long on the dock and missing its place in the rotation. For perishables, this is of the utmost importance. As transparency becomes an integral part of the global food supply chain, companies are being required to maintain detailed and up to date reports on their warehouse inventory. Warehouses need to be able to report on where their products came in from and when products arrived. They need to know where products are after they leave the warehouse and their staff needs to be trained to manage these requirements. 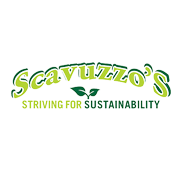 Scavuzzo’s is an independent food service supplier currently in its fourth generation of family ownership. They focus on more wholesome, honest approach to the complicated food service industry. Their distribution footprint extends out of Kansas City, Missouri, to Texas, Colorado, Illinois, Louisiana, Iowa, Mississippi, and Nebraska. They believe company culture is paramount. “If you start your organization from the employee level and work your way up, you’ll always be more successful, because your employees will always take care of your customers or your vendors or everyone else that’s in your business model,” noted John Robba, Director of Operations at Scavuzzo’s. For Scavuzzo’s, being a heavy protein house, comes with a lot of control issues. One of the biggest concerns from the dock standpoint is adding all the catch weights up for items that didn’t come across on the manifest, and getting accurate lots recorded, and making sure that each individual lot was tracked into the right slot, or to the overstock location. Manually capturing all of that data on pieces of paper, and making sure that paper got to accounting, the warehouse management staff, or getting to where it had to go, can be extremely time consuming. “We would probably, on a twenty-five-line order, with one of our major beef suppliers, be close to an hour making sure we had the right product, making sure the dates were within tolerance, making sure the lot codes were something we could accept, etc.” commented John Robba. In the protein world, there’s a lot of very similar products with vague descriptions, but with the manufacturing numbers, there is always going to be a unique way to identify most products. Being able to verify that what was listed on the RO was actually received is important in any warehouse, plus for a protein house there are catch weights, and making sure that the total gross weight ties out too. Suppliers and shippers can add pallet weights and not use proper business etiquette when it comes to selling per pound items. “When a trailer arrives we start to collect information, temperature control, the lot number that’s associated with the product, the manufacturer code date, weight, reception date, depending upon different mixes of products that have different requirements. There’s so much data that’s collected.” And for Robba information helps bring clarity. After the AFS WMS’s implementation, Scavuzzo’s were able to scan GTIN information directly into the system capturing code dates, lot numbers, and the manufacturer right there on the spot with a single-scan as fast as they could pull the pallets off the trucks, they could digest them and put them into their system. It reduced the amount of time and the amount of paperwork, and the amount of hands that had to touch the receiving order to get it processed. Once products are scanned, AFS WMS will compare that to the RO or the PO. For instance, if you accidentally typed in a number that wasn’t correct, it prompts you to go back and double check and verify that what you said was correct. With the introduction of GTIN, they were able to eliminate not only user error, but manufacturer’s error, where they’re sending maybe one or two of the wrong products in a load. Scanning those items into the system, you are able to find errors at time of reception and reject or make the purchasing department aware of that, instead of waiting until you either incur a mispick or a misrotation on the wrong product. With the traceability of their products, when there is an inventory issue, and those five cases do not exist, there’s audit reports, there’s lot controls, there’s all these new tools that we have access to with AFS WMS that allow them to go back and trace back. Who was the last person to touch them? Was it a mispick? Was it a misrotation? We’re they damaged? You can really start to answer those hard questions that everyone in the industry has, especially when it comes to low-on-hand quantities. “With AFS WMS, our inventory control manager now has an aggressive cycle counting skill, he has a tool now that he can monitor the warehouse inventory and be accountable. We count inventory in our entire facility every quarter. Our goal is to have every aisle and every slot counted every quarter in a rotation basis and report on that” noted Robba. Reducing Labor Costs with Efficiencies. On a weekly basis, Scavuzzo’s run replenishment efficiency reports. They print out the audit by job RP, or replenished job, and they look at slots that are violating what would they consider more than one or two visits per week. For instance, they had a slot location that they were visiting sixty-six times, on average, per week. They were able to make four pick slots, or a super slot, two full bays, and they reduced that to less than twenty replenishments per week. Now they are visiting that a third of the time and that replenisher, that stocker, now is doing other jobs and is more efficient at what he’s doing. They can capture those line items and then over the course of time, see if what they’re doing is helping the companies’ efficiency. Another key point is pick path optimization. For a food service company, the customer dictates the product mix. As different manufacturers come on board, deals come in, or rebate programs, the product mix will change. What they’ve done with AFS WMS, in conjunction with AFS ERP, is applied sales data against the slot max sizes, and optimized their pick paths based on the products that they are actually moving. Pick times are down to around forty minutes or less for the same order, same picker, same selector. Their pickers are not making it all the way down to the third or fourth aisle any longer. They are basically done with a pallet by the time he’s rounding the second or third aisle end cap. AFS Technologies (AFS) is the leading provider of software solutions purpose-built for consumer goods companies. We are committed to generating improved outcomes at the point of purchase coupled with generating efficiencies in trade spend, retail execution and supply chain. With experience developed over its 30 year’ history, AFS serves more than 1,000 customers of all sizes in over 50 countries around the world. The AFS products are innovative, configurable solutions that are proven to optimize your potential with automated processes, improved productivity and rapid time to value.